Given Paul George announced he will be staying in OKC two minutes before NBA Free Agency officially began, the LeBron James Sweepstakes just got more interesting. PG-13 will sign a 4-year deal with OKC, closing the door on potentially signing with the Lakers. Many speculated he might head to his hometown since he is a native of Los Angeles and expressed a desire to play for the Lakers at some point. Clearly it won’t be for at least the next four years. Chris Paul (Rockets), Kevin Durant (Warriors) and DeMarcus Cousins (Pelicans) also got a new contract with the teams they currently play for. The last member of Lob City–DeAndre Jordan–became a Free Agent and quickly signed a 1-year deal with the Mavs. Blake Griffin was traded to the Pistons at the trade deadline midseason so…yeah. 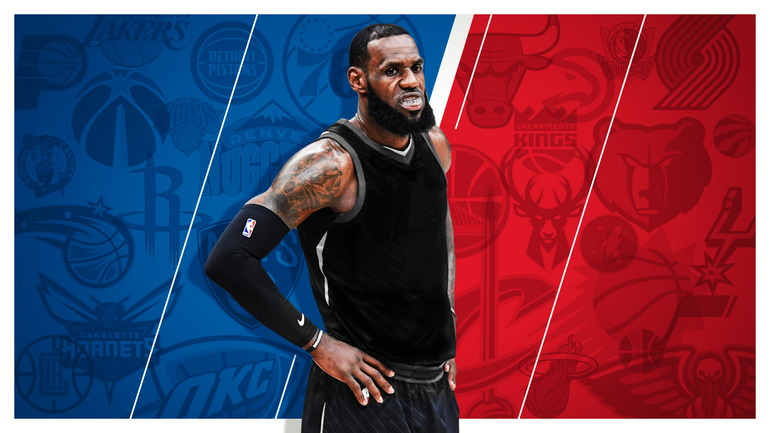 According to the latest reports, LBJ has decided where he will play and will announce who won the LBJ Sweepstakes on Tuesday. The team everyone is assuming he’ll sign with is the Lakers even though it would mean he his NBA Finals Streak will end at 8. Let’s be honest, that will happen no matter who he signs with if it’s not the Rockets, Celtics or Warriors. It was just announced that LeBron James has agreed to sign with the Los Angeles Lakers. The deal is for $154 Million and for four years. Now that LBJ has made it official, let the speculation commence on which other NBA Superstar may join him in the Purple and Gold. What this means is by default, the Boston Celtics owns the Eastern Conference now.